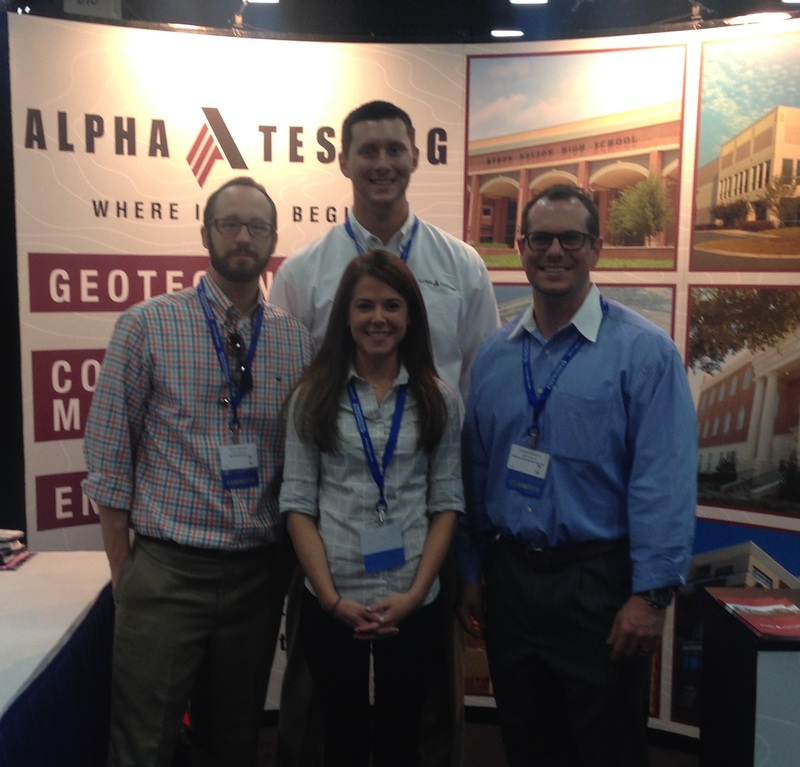 I t’s tradeshow season at Alpha. These events are a time to network, interact, and be a resource to the attendees and booths around us. And while our Business Development and Marketing team does take them seriously… we have fun doing it! Here are some moments captured on camera from the Texas Municipal League (TML) conference in San Antonio, TASA/TASB conference in Austin, and Structural Engineers Association of Texas (SEAoT) state conference in Houston. 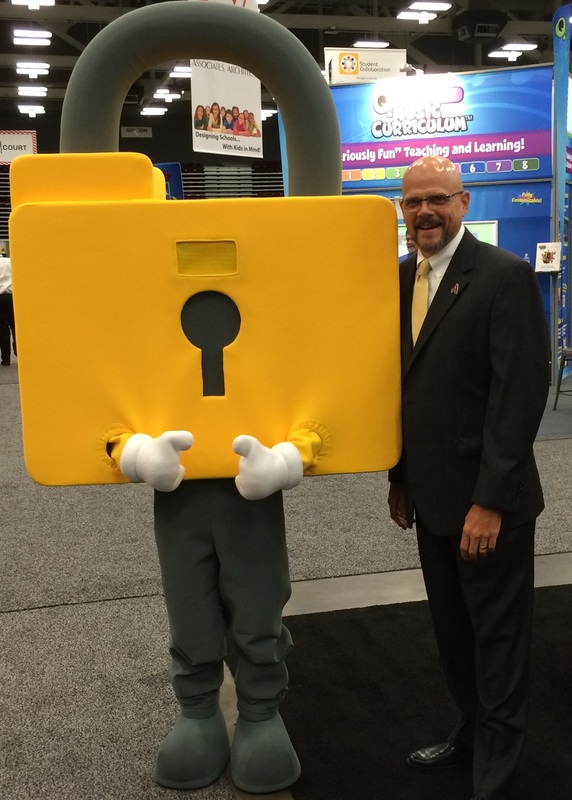 For a closer look at how we tradeshow, see our Why We Exhibit blog post. This place embraces the word “hidden gem” – The Raging Espresso is one you won’t want to miss, but might on account of its diminutive store front. 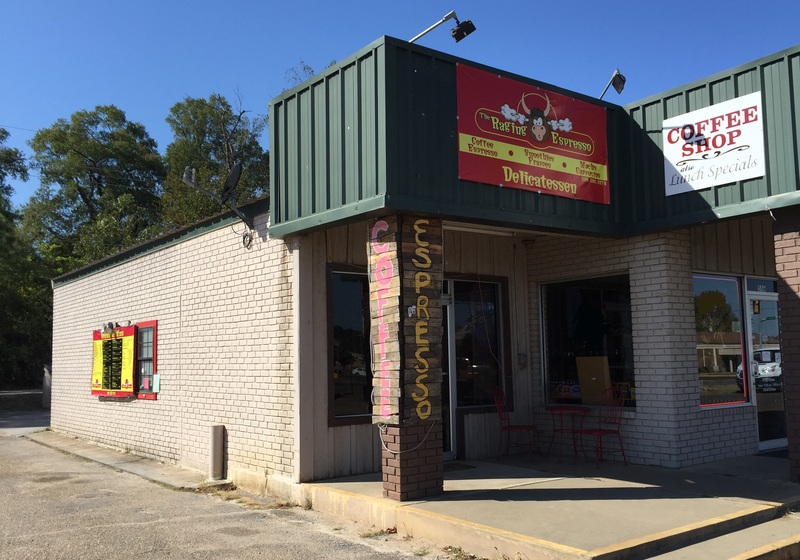 Located in Broken Bow, OK, this caffeine stop is small in stature, but full of attitude. Even the chalk board inside expresses th e espresso shop’s theme: “Rag·ing – adj. continuing with great force or intensity”. The specialty coffee drink list is somewhat limited – so you have to know what to ask for. The Raging Espresso also sports a full size breakfast and lunch menu, so make sure to come with an appetite as well. Take the drive-thru for a fast grab, or enjoy your Cup of Joe inside the shop (if you can find seating!). 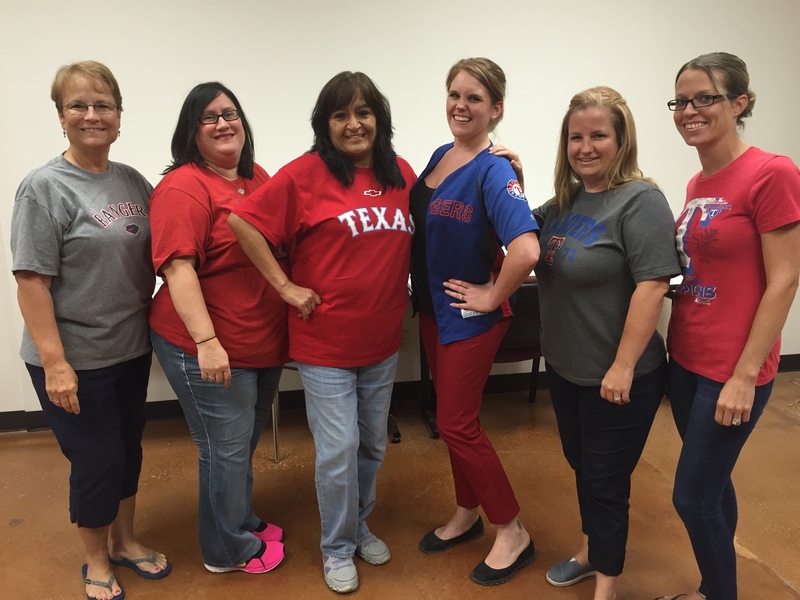 Alpha’s Accounting Department (and Amber) wore Rangers gear to bring luck to our Texas team as they headed off to face the Toronto Blue Jays in the 2015 MLB Playoffs. Maybe if Jeff Thomas joins next year we’ll lock in a win! From left to right: Della Baker, Rosie Harding, Yvonne Pavon, Rachel Muirhead, Brandy Cruz, and Amber Williams. 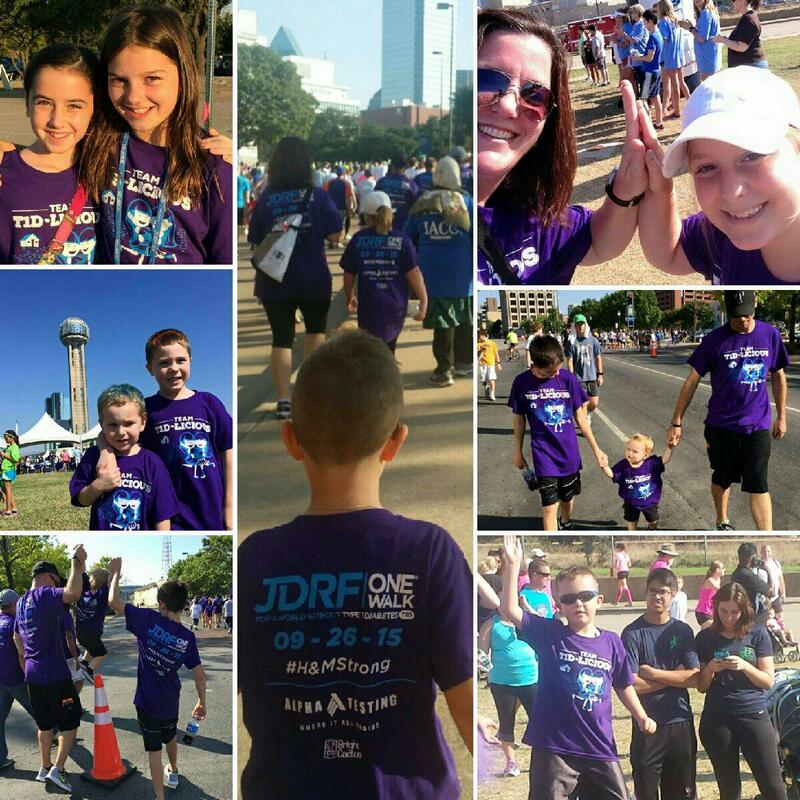 Thanks to all who came out on Saturday to support Brian Powell’s daughter Hannah at the JDRF One Walk. Over 140 family and friends walked the 5K at the Lawn at Reunion dressed in Hannah approved purple t-shirts – provided by Alpha! Together, TID-licious raised over $5,000 in support of Type 1 Diabetes research for the cure. Join us next year! Visit the team page here.